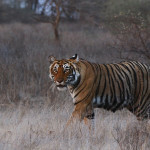 Ranthambhore National Park- Steeped In Royalty And Wilderness! I am sure you must have been to National Parks but a visit to Ranthambhore National Park can never leave you disappointed. Recently I visited this Park, which enjoys a wide variety of wildlife and captivating natural beauty. 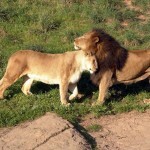 It is located in the Sawai Madhopur district of Rajasthan, and is 130 km from Jaipur. Once the hunting ground of the Maharaja of Jaipur, this Park is now a world famous wildlife destination where tourists come from across the globe. Popular for its tiger population, the Park is also a home to a variety of wildlife such as Nilgai, Leopard, Indian hare, Mongoose, Sambhar, Chital, Jackal, Antelope, Langur, Black buck, Monitor Lizard and many more. The Park also provides shelter to crocodiles and beautiful birds. Offering picturesque views, the Park is surrounded by Banas river, Chambal river and hills of Aravali range. 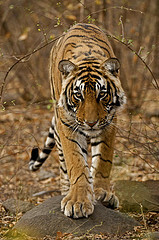 Sprawling over an area of 392 sq km, the Park was declared a Project Tiger Reserve in 1973. There are three lakes flowing through this Park, namely Raj Bagh lake, Malik Talab and Padam Talab. These lakes are the promising sites for sighting both birds and animals as they come here to quench their thirst. 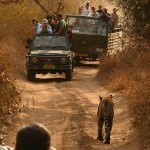 Jeep and canter safaris are organized twice daily and each safari lasts for three hours. whose history dates back to the 10th century. 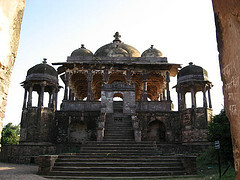 It is considered as one of the oldest forts of Rajasthan built by the Chauhan Rajputs in 944. The Jogi Mahal within the fort has the second largest Banyan tree in India. The fort offers amazing views of the Park.